In October, Twitter announced its decision to test a new 280-character limit on tweets and officially started rolling out the new extended word cap during the first week of November. Over the next few months, all users will have 280-character tweeting capabilities. If you want to share an extended message with your audience about your business or a client who has a new product or upcoming event, the new character limit allows you to provide more information instantly. The former option was to share a link with a short description; now you can provide an in-depth statement or direct quote from the press release, which can make your post more engaging. In the past, sharing more than one link in a tweet at a time was out of the question. Instead, you were forced to tweet multiple times, sending a series of tweets with various links to get the message across to your followers. The new character limits enables your brand to be more concise yet in-depth by sharing one, wholesome tweet, instead of risking your message getting lost in translation. 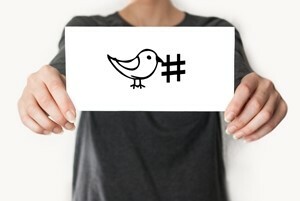 When your tweets have a visual element, they're more likely to produce engagement rates. According to HubSpot, tweets that include an image receive 150 percent more retweets as compared to those without a picture. With the new character limit, you don't have to choose between sharing a picture or video and text; rather you can fit both elements and create more comprehensive (and engaging) tweets. Remember: Proofread all of your tweets to check for spelling errors, grammar mistakes, false information, inappropriate phrases and sentences that can be taken out of context. This new feature may be beneficial, but it opens up more room for error and can have a long-lasting, negative impact on your brand reputation if you don't take the time to copyedit.